:) its pretty beautiful though! its still a pretty early stage of cc for now! You are so ungrateful. If you like his hairs so much why not just appreciate all the hard work he puts into them as opposed to complaining about the ends...which by the way I don't think are ugly at all I think the ends and all of the hair are lovely. Thank you David and nice work as usual. How can one improve if no one will give him honest criticism? I think anonymous should have worded it better but saying everything David does is perfect doesn't help at all. I do think the ends need working on but I still really like the hair and will enjoy using it. No one is saying everything he does is perfect. Concerning the ends is obviously a matter of opinion. I think the ends look just fine (and I have seen other styles where they do not). It looks like a cartoonish type hair - and lets face it, this game is all about cartoony looks. You don't see a lot of realistic hair textures yet and if he's going by the sims 4 style hair then it looks just fine. Yap! The comment section is not only here for: OMG love it! Thank you so much and so on! Also for criticism! Im very grateful for that what David did in the past but I can say my opinion anyway! And I like the cartoony style and the ends are super OK but his last "cartoony" side hair had perfect ends! I know its harder for this hairstyle! You dont see a lot of realistic hair textures? If you only mean Dvd your kinda right but if not youre totally wrong! 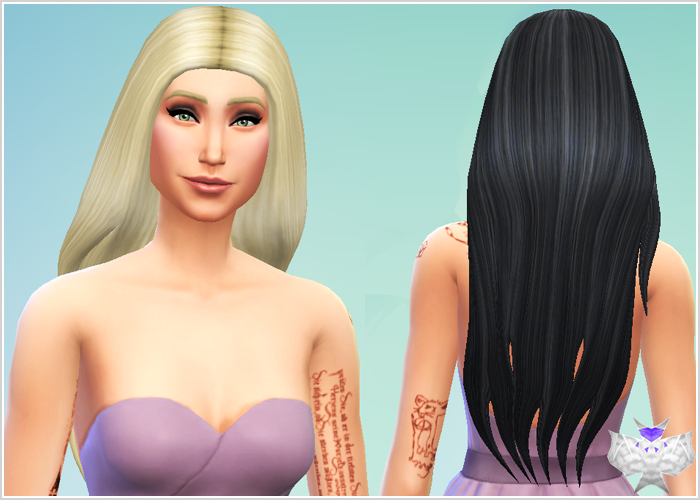 Alpha hairs are the most popular Hairs for Sims 4 for now although that the Alpha hairs are actually just conversions! you can even see in the picture that the quality is pretty low, the hair glitches into the back and then it looks ugly. it needs to be done properly and with care instead of just doing so much of hairstyles without fixing those problems.